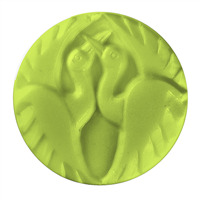 The 2 Cranes Guest Soap Mold features two crane birds artfully displayed in a round mold. Their beautiful wings kiss the edges of the mold and their beaks lovingly cross in the center. 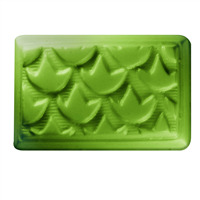 Bar Depth: 1" Bar Length: 2 5/8"
This soap mold shows four blooming leaves surrounding a simple, four petal flower. It is unique, yet simple for lotion bars and soaps. 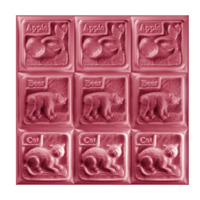 This tray soap mold that has 3 columns with letters: A with an apple, B with a bear, and C with a cat. This soap is great for young children learning the alphabet to use in the bathtub! 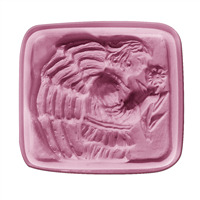 Bar Depth: 1" Bar Length: 2 3/4"
This soap mold has three different animal petroglyphs including a turtle, a bird and a zebra. By using a grey mica powder as the background, these African animal petroglyphs really look like they are drawn on a cave wall! 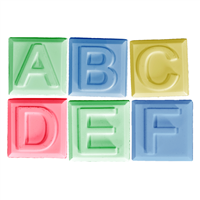 Bar Depth: 0.6" Bar Length: 3.75"
Featuring capital letters A-F, this mold creates the perfect bath time soap for young children learning to spell! 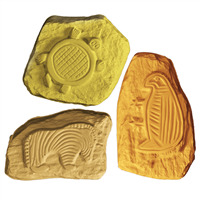 Kids will love these soaps when colored with our bright mica powders! Also great for giving a personalized gift. 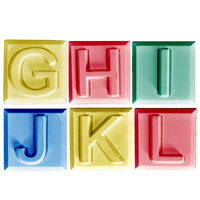 This soap mold was inspired by children’s alphabet blocks, but can be used for much more! 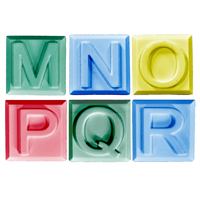 Create colorful gifts for children, teachers and much more using this soap mold with capital letters G to L.
Use this alphabet block mold with capital letters M to R to create monogram soaps for friends and family or as a fun way to learn for young children! Learning the alphabet has never been so fun! 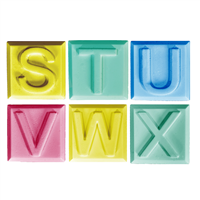 The alphabet block soap mold makes a great gift for children, teachers or friends with the initials S to X. The Alphabet Block Soap Mold – Y to Z is complete with capital letters Y and Z, as wells as fun shapes including a heart, a smiley face, a flower and a star! Create color soap blocks perfect for kids with this mold. 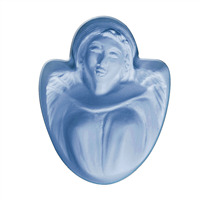 The angel in the Angel Heart Soap Mold radiates with peace and innocence. Her body and wings softly resemble a heart. Bar Depth: 1 1/8" Bar Length: 3 5/8"
An angel with large rounded wings holds a flower in the Angel With Flower Soap Mold. The angel stands sideways with her hands pressed together on the flower with her eyes close. 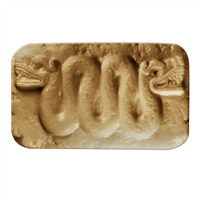 A two-headed snake is featured on the Aztec Serpent Soap Mold. The word ‘serpent’ is ‘coatl’ in the ancient language spoken by the Aztecs, and this word is closely associated with many deities in their culture. Since snakes shed their skin, they are thought to be symbolic of renewal and transformation in Aztec religion. Bar Depth: 1" Bar Length: 3 7/8"
Bacchus originates in Greek mythology as the god of the grape harvest and was known as Dionysus before Romans adopted the name Bacchus. 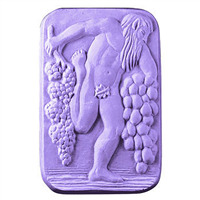 The Bacchus Soap Mold features a man standing on one foot holding two large grape vines. 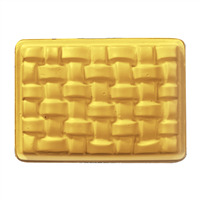 Bar Depth: 7/8" Bar Length: 4 1/8"
This unique mold is a rounded rectangle with a weaved, basket-like pattern. Complete the basket look with any of our brown mica powders, we think Silk Stockings Mica Powder is perfect! 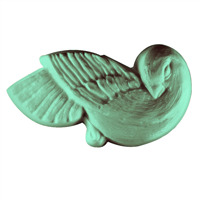 Bar Length: 3.75" Bar Width: 2.75"
A bird sleeps with his head turned and tucked in the Bird Soap Mold. 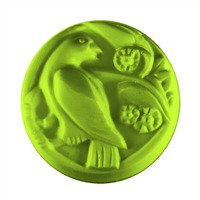 This mold is constructed of plastic and can be used to mold soap for bird lovers! 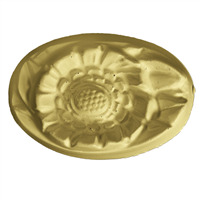 Bar Depth: 3/4" Bar Length: 4 5/8"
This is a circular soap mold that has a noble dove surrounded by beautiful blossoming flowers. 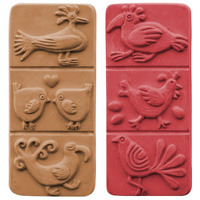 Bar Depth: 1 1/8" Bar Length: 3 1/8"
Six birds are featured on this plastic soap mold. Each bar contains three different birds, which can be kept as one bar or cut into three smaller bars. One design shows a rooster, lovebirds and bird with a long curved beak while the other design has a tropical bird, a hen losing her eggs and a small bird. Avg. Bar Weight: 3.95 oz Bar Depth: 1/2"
Bar Length: 4 3/4" Bar Width: 2 1/8"
Add some Christmas cheer this holiday season with our Breakaway Holiday soap mold. This fun and festive design features a peace dove, holly, and a leaping reindeer. Perfect as a set of three or broken apart as individual soap bars! Bar Depth: 0.75" Bar Length: 4.5"
The calla lily is traditionally symbolic of divinity, marital bliss and true devotion, which is why this beautiful flower makes an appearance at many weddings. 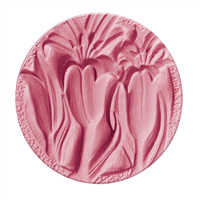 A bouquet of blooming calla lilies are displayed on the Calla Lilies Soap Mold. Create wedding favors with this mold! This mold is heart shaped with a Celtic Knot design on top, which is a religious symbol that represents the trinity in Ireland and Scotland. 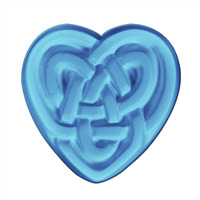 The heart has the knot design incorporated in which makes for beautifully detailed soaps. 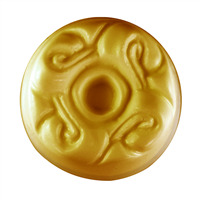 Bar Depth: 7/8" Bar Length: 3 1/4"
Our Celtic Spiral soap mold is circular with a beautiful flowing wave pattern. This mold is perfect for hand soaps and lotion bars. 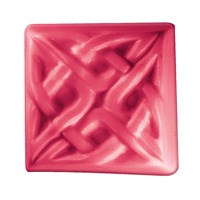 This detailed square mold has a Celtic knot pattern. This mold will bring the luck of the Irish in your home! 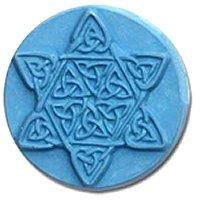 Bar Depth: 1 1/8" Bar Length: 2 1/2"
This mold features a hexagram star with six points on a round design. The star is ornately decorated with Celtic knots with the designs on the points resembling hearts. 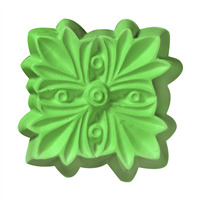 Use the Celtic Star Guest Soap Mold to mold soaps and lotion bars. 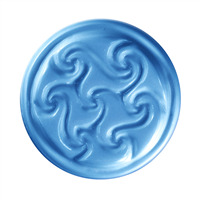 Bar Depth: 1/2" Bar Length: 2 1/2"
The Chasing Waves Soap Mold has circular cavities with a round design in the middle that is surrounded by four waves that appear to be chasing each other. Bar Depth: 1 1/4" Bar Length: 2 7/8"
The Chevron Soap Mold is a rectangular mold with a chevron-like design inside, backed by thin stripes. 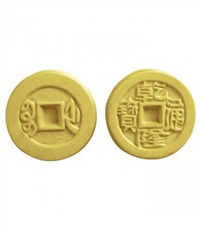 Chinese coins were constructed with square holes to aid in creating uniform holes. The coins were put on a dowel so that many could be filed down to a uniform shape all at once. Additionally, this hole allowed the coins to be strung so the used could carry it easily. 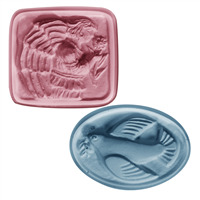 The Chinese Coins Guest Soap Mold features two different coin designs. 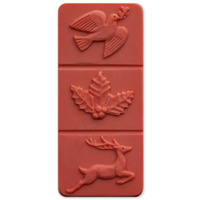 Bar Depth: 3/4" Bar Length: 2 3/8"
Celebrate the holidays by making soap with the Christmas 1 Assortment Soap Mold. The mold includes a gift box design to create soap presents, a snowflake design for wintertime soaps, and an ornament to decorate your craft table with soaps for the season. 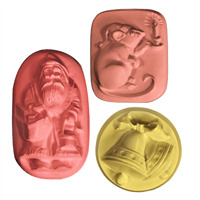 Bar Depth: 1" Bar Length: 2 3/8"
Three Christmas designs are included with the Christmas 3 Assortment Soap Mold: Christmas wedding bells, Christmas mouse and Kris Kringle. 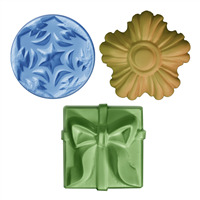 Use this plastic soap mold to mold soap and lotion bars for the holidays. 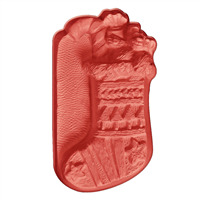 Bar Depth: 1 3/8" Bar Length: 3"
A stocking adorned with small evergreen trees and small poinsettias is filled with a teddy bear, candy cane and other gifts in this plastic Christmas Stocking Soap Mold. Create handmade soaps with this stockings mold to create your own stocking stuffers. Bar Depth: 1 1/8" Bar Length: 4 5/8"
The Christmas Wings Guest Soap Mold features guest-sized designs of an angel with flower and a dove of peace. Two designs we love for Christmas soap bars! 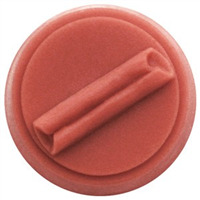 Bar Depth: 5/8" Bar Length: 2 3/4"
The Cinnamon Stick Small Round Soap Mold is used for making wax tarts for a potpourri or tart burner. When the scented tart heats up, it fills the room with aroma. The molds are also great for small guest soaps. Bar Depth: 7/8" Bar Length: 1.5"